Hey guys, it’s been a little over a month since my last update. I’ve lost around 10 pounds so far, depending on which scale you’re asking. My scale at home is really nice, and tells me I’ve lost 13 pounds. The scale at work is not nearly as friendly. As a recap, my goal is to lose 20 pounds before I turn 40 in June. I’m halfway there, with three months to go. Full disclosure, I lost four of these pounds because I had the stomach flu. Not a pleasant way to lose weight. Neither was the strep throat I had recently, come to think of it. I digress. Are you ready to lose 10 pounds, also? Here’s what has helped me so far that might help you. 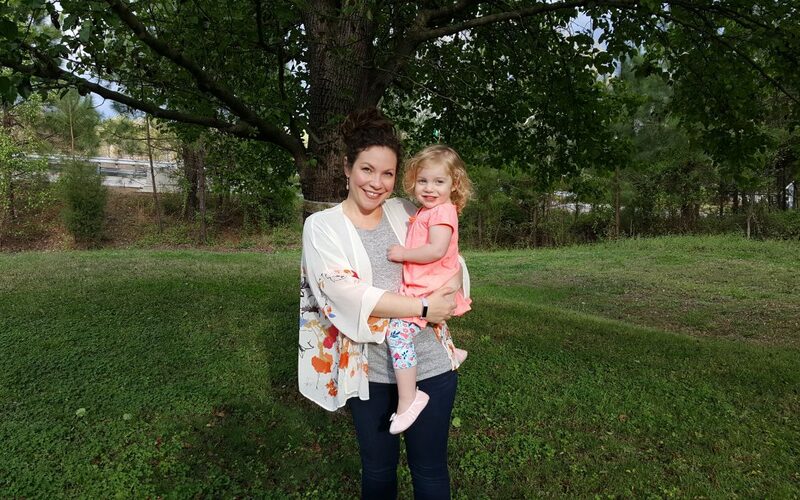 Going public with my weight loss goal through the Blue Cross and Blue Shield of North Carolina blog has been a great way to both hold myself accountable and get support and tips from people who’ve been there and done that. I’ve gotten links to recipe blogs, fitness programs, and book recommendations, along with tons of moral support. I’m not suggesting that you have to write about your own weight loss goals on social media (although you can), but definitely let your close friends, coworkers and family know. They can give you support to help keep you on track, and they can give you the stink eye if you start reaching for the potato chips. This has been huge, and I don’t think I’d have lost any weight otherwise. I’m so glad that my friend Christy (our wellness manager at BCBSNC) kept encouraging me to do this. The MyFitnessPal app calculated that I needed to consume 1200 calories a day to get to my weight loss goal. It’s surprisingly easy to track food intake using this app, and I usually stay within range if I avoid obvious offenders – like the powdered sugar soft pretzel that I got my daughter at the mall recently. I still daydream about that pretzel, but I only allowed myself one bite. Okay, two. On the days when I “forget” to track, I am more likely to overeat. Tracking my food has also forced me to think about why I’m eating – am I hungry, or just bored? Did I order chips and a Coke with my Subway sandwich today because I need them, or because I’m stressed about a deadline, and a little sad that the weekend is over and I’m not with my kids? 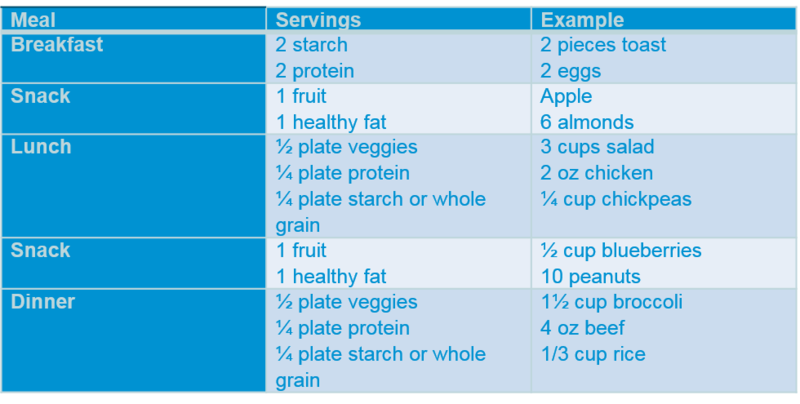 So my advice here is to track your approximate calorie intake, which will help you make smarter choices. You don’t have to use an app – Christy says you can use old fashioned pen and paper, or even take a picture of your food with your phone. Any way you do it encourages mindfulness with eating. And if you’re feeling desperately hungry for a treat, evaluate if it’s hunger (and then make a good choice) or if you’re bored, lonely, or stressed, and address that issue instead. Remember we are all human, and therefore not perfect. I’ve had “bad” days, but then I just try harder to eat better the next day. Last month (March) was National Nutrition Month, so I’d be amiss if I didn’t mention that I met with Diana, our onsite Registered Dietitian Nutritionist, twice. Diana is Canadian, which in my book automatically means she’s nice and down to earth. And she genuinely is. While apps can be helpful, there is no replacement for a nutritionist when it comes to personalized advice. Diana’s calculations also have my calorie goal at 1200 per day, but she gave me more specific information than any computer program could. In case it’s helpful for you, the meal plan she designed for me is below. Remember that everyone has different needs, and you should consult a nutritionist for your own plan. Diana also recommends that I drink 66 ounces of water every day. I tend to drink too much caffeine, and not enough water, but I’m trying. Adding lemon slices to the water helps. While Diana’s suggestions have been really helpful, the reality is that eating well takes a lot of planning. And planning takes a lot of time. And who has time? If you want to eat better, you have to set aside time every week to plan meals and create a grocery list. It sounds really simple, but life tends to take over. And it’s often Sunday night and I realize that I have not done any planning for the upcoming week – and you can forget about it once the busyness of the work and school week starts. The past few weekends I’ve kicked my husband and kids out of the house for a few hours so that I could have some time to really focus and meal plan (and then order groceries online to be picked up the next day). It’s a work in progress, but hopefully it will become habit over time. Fine tuning my meal planning, and offering healthier options for my kids. I still often fall back on easy things (like mac and cheese) for my picky kids, and I haven’t even attempted to pack my own lunch or healthy snacks. I’m trying a new meal delivery service next week (previous ones I’ve tried weren’t my thing), and I’ll let you know if it’s a win. Workout routine. I’m still working with Kerry, our onsite gym’s manager and my personal training guru. With schedules and illness, we’ve skipped a few weeks, but I’ll get back on track. My goal is to do at least two days of strength training a week, and three days of cardio. To hold myself more accountable, I’m going to start tracking my workouts in MyFitnessPal. Not blowing all of this on vacation. I’m going on a trip this spring, and I am afraid I’m going to gain back every ounce I’ve lost. Christy’s advice is to keep tracking those calories “even when it hurts.” She says to allow myself to try new foods (like local specials), but split portions with my husband, if he’s willing. Also don’t get too hungry before dinner, so remember healthy snacks. I’ve decided I won’t use suitcase space on workout clothes, but I will bring my Fitbit. I hope you find at least some of this helpful. I’ll tell you that I cringed when I saw the “before” pictures in my first post and had a moment of regret about being so public. But then I decided I didn’t care, as long as this might inspire someone else to make healthy changes. As my friend Ryan (a lovely co-worker and fellow mom) and I were talking about the other day, once you get to your forties, you care a lot less about non-important stuff (like how you look) and you care a lot more about the important stuff (like how you – and others – feel). And losing weight is all about feeling better.